This model was I thought one of the most exciting finds at the Dixon Historic Center visit in January. 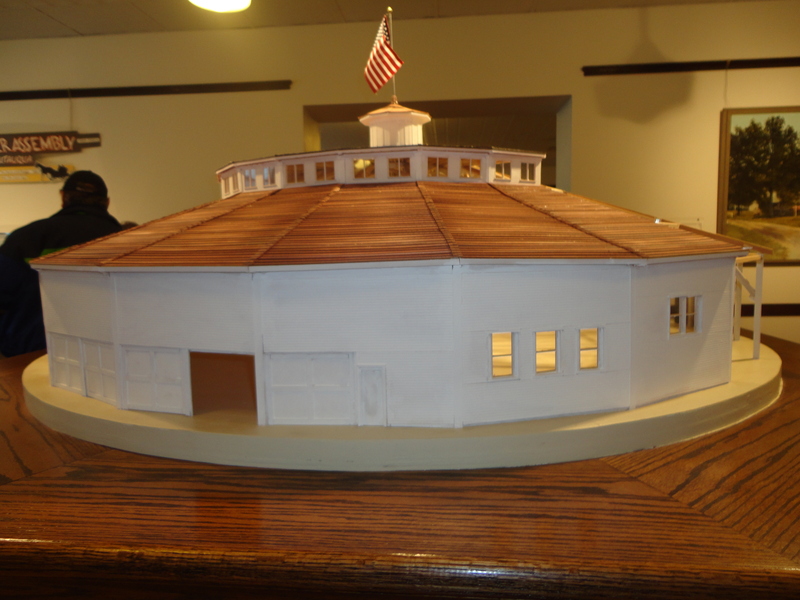 Although this appears to be a huge round barn it is a model of the Rock River Assemby’s lovely arena bio;t om 1887. The Rock River Assembly went bankrupt in 1927 then was purchased by Dan Holbrook who turned it into a roller rink. The rink remained open until destroyed by fire in 1949.